New in Theaters August 23, 2018 "The Happytime Murders" and "A.X.L"
In a world where humans and puppets co-exist, the puppet cast of an '80s children's TV show begins to get murdered one by one. A former cop, who has since become a private eye, teams up with his old partner to solve the case. 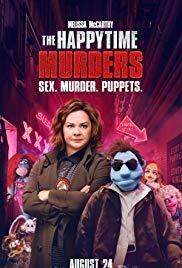 “The Happytime Murders” is produced by Brian Henson, son of the late Jim Henson, and with that pedigree the movie should have been so much more. What could have been a sharp, witty and irreverent satire quickly degenerated into a bunch of missed opportunities. The film just runs out of ideas after the first 30 minutes and begins to repeat itself over and over. "Happytime's" human star, Melissa McCarthy, looked lost in every scene. I think McCarthy is suffering from what Will Farrell went through and has been pigeonholed into playing the same caustic character over and over. Check her performance in this new film with her past performances in “The Heat,” “Tammy,” “Identity Theft” and even “Bridesmaids,” and you'll see what I mean. All in all “The Happytime Murders” is a film offering little reward in exchange for your hard-earned movie dollar. Starring: Alex Neustaedter and Becky G.
In the film a young man discovers a robotic dog the military designed as a weapon. “A.X.L.” is a run of the mill, teen angst, sci-fi movie that is uncomfortably formulaic. That's not to say the film is bad, it's just the film is terribly bland and very forgettable as the film staggers along at an uneven pace while the characters keep changing their minds about what to do with their robot dog. 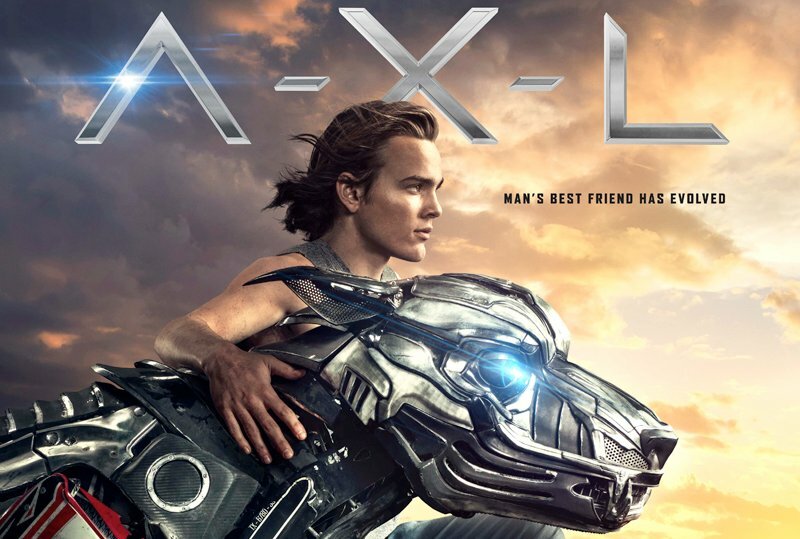 “A.X.L.” is not a strong character movie, nor does it garner any real sympathy toward the lead characters or the robot dog. Which is too bad because the film needed to take a few chances. Because the producers played it too safe, “A.X.L” gets a C and is rated PG-13.